10 weeks out from Ironman CDA I was diagnosed with a stress fracture of the left tibia. Although I could still train the swim and the bike, the run was out of the question. Two weeks out I was cleared to jog lightly. I ran into one of your athletes, Jason McFaul, who suggested your product to help my recovery. I wore the patriotic colors MuscleAidTape through the last two weeks as I tried to gather some good vibes before my 26.2 mile walk. I was able to complete the Ironman triathlon and actually ran some of the marathon section. I could not have done it without the use of MuscleAidTape. Thanks Jason McFaul and thank you MuscleAidTape. My work day consists of bending, lifting, and moving packages throughout my shift. After my work day, I try and get in my daily workout. After a long day at work and a 30 minute workout, my knees, back, and shoulders are spent. I take a shower and apply MuscleAidTape as directed. I sleep with the tape on. When I wake up, I take my shower with the tape on and my knees, back, and shoulders feel great. No soreness, no stiffness, and no special effort from me. I just cut and apply MuscleAidTape to the area and forget about it. It helps my muscles recover from my daily activity and allows me to wake up the next day ready to do it all over again. I recommend MuscleAidTape for people that have aches and pains and want relief without the hassle. I'm a recreational salsa dancer with a bum left knee. I tore my meniscus so bad years ago that they cut it out complete. Every other month I go through a performance boot camp. We basically learn a routine and perform it within 5 days. The last day of rehearsal with only 20 minutes left to go I tweaked my good knee. I needed to be helped off the dance floor and couldn't bear any weight on my knee. I elevated and iced my knee like you're supposed to, but the next day I still needed a cane to get around. The performance was less than 48 hours away and it was too late to change the routine. There was no way I could back out. In the middle of the day, I decided to wrap my knee up with MuscleAidTape. I can't explain how but it worked. MuscleAidTape got me walking normal again. It allowed me to perform and dance all night long in heels no less! I attended a sports medicine clinic organized & hosted by L.A. Sparks’ head trainer, Courtney Watson. Discovered the clinic while doing research for the girls I’m coaching AND for myself.I’d been wondering if some of the things I used as an athlete (taping, compression sleeves) would help my Sickle Cell (SCD) pain/problems.Found MuscleAidTape during my research. I hadn’t tried MuscleAidTape before the clinic because I was skeptical. Very happy they ended up being at the clinic because they taped me up [they were friendly & awesome by the way! :O)]. They explained how it works and I already knew that if the tape did what it claimed to, I’d be sold. Any SCD carrier knows how much of a factor blood circulation is to anyone’s overall health & quality of life. Improved blood circulation means better, faster recovery, which means decreased pain & soreness, increased flexibility of joints & muscles, faster healing of damaged muscles (exertion, injury, etc. ), decreased inflammation, & the list goes on. I don’t expect it to be a major factor during a MAJOR Sickle Cell episode or flare-up, but I definitely didn’t have to take any medicine during the 3 days I was taped up, which, for me, is everything. It works. I should be clear & say that most of my minor aches & pain, is caused by poor blood circulation, which is a major factor of Sickle Cell. Because this improves blood circulation, it helps with my minor chronic pain from SCD. I got a shoulder injury the week before and had trouble just lifting my arm to wash my hair. I went to my athletic trainer, and he put MuscleAidTape on me, and it was like he added a muscle to my arm! I was able to lift my arm with only slight discomfort and played that next week. I came across this product when I attended the OC marathon/half marathon convention. My right knee, left hip were still sore for 2 weeks after my long run and had flare-up of lower back tightness and spasms from previous back injury. This MuscleAidTape took care of my problem areas and helped me finish my first half-marathon, PAIN-FREE. I’m a big believer and will be stocking up in the future. MuscleAidTape made my season possible. When I strained by abdominals, MuscleAidTape helped relieve the pain and allowed me to finish out a winning season! When I injured my hamstring during this past season, I thought that I was going to be out for weeks. However, I was introduced to MuscleAidTape and it worked miracles. I was able to run pain free for the remainder of the season and even made it to nationals. 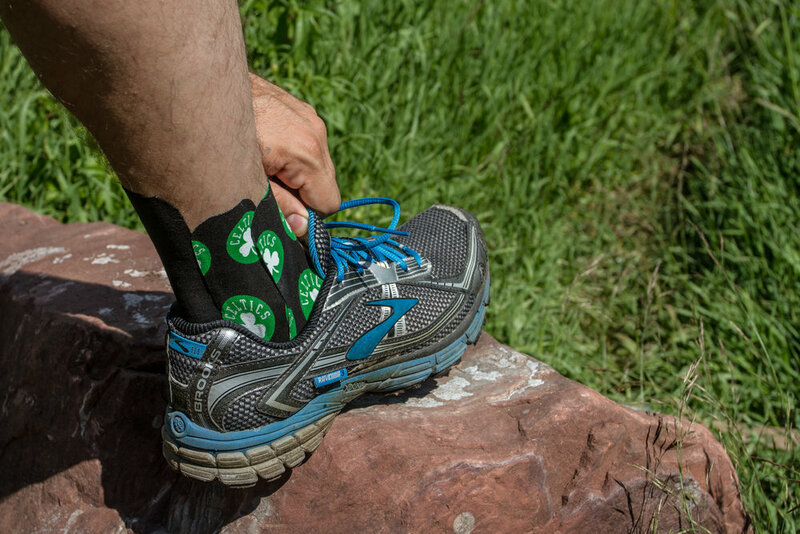 It’s comfortable, durable, and easily applied. MuscleAidTape saved my season and I personally would recommend it to any athlete! I love MuscleAidTape! For years I have had back pain. I have been to physical therapy and taken all sorts of pain medication. MuscleAidTape immediately worked on contact. The pain and tension in my back disappeared. Not to mention my perfect posture when I wear the tape. I use MuscleAidTape once a week and the relief lasts the whole week. This is such a great product that I have referred it to my family and friends. Thanks again. After the wear and tear from summer camp, the season started to pile up small injuries on my body. While daily rehab helped muscle soreness, I needed something that would be an aid during practice and games. With MuscleAidTape, my neck, back, ankle, shoulder, and knee were able to sustain more wear. This allowed me to push my body further, the most important aspect of football. Knowing that I could trust my body to hold up made it much easier to play an entire game. Then during the week, I could keep the tape on, shower with it, clean it, and continually get benefits from the muscle support. I hurt my back during my first match of a tournament and thought about medically forfeiting. My athletic trainer told me to try MuscleAidTape and see how it felt. I won the tournament! In wrestling, we do a lot of bending and squatting, and the repetitions took their toll. It became difficult to bend my knee pain-free until my athletic trainer put MuscleAidTape on my knee, and I was able to continue to play and not miss any practice or competitions. This tape helped me get through my severe tendinitis and complete the entire football season where if I did not have MuscleAidTape, I don’t know if I could have. I have had a knee cap tracking problem for a year. Being a competitive I can’t take much time off. I have tried every kinesiology tape on the market and MuscleAidTape is by far the best! It has gotten me through the hardest practices and even championship meets. It stays on great in the water and I have no complaints. This product is amazing. Thank you for helping me reach my goals. They would have been impossible without the help of MuscleAidTape.